What is Reach's Social Smart Group? Reach’s Social Smart Group is an opportunity for children with Autism Spectrum Disorder ( ASD) to connect, play, develop friendships and increase their social skills. This group is facilitated by a Behavior Consultant and a Behaviour Interventionist(s) We meet 24 weeks throughout the year from October to May in North Delta or South Delta. 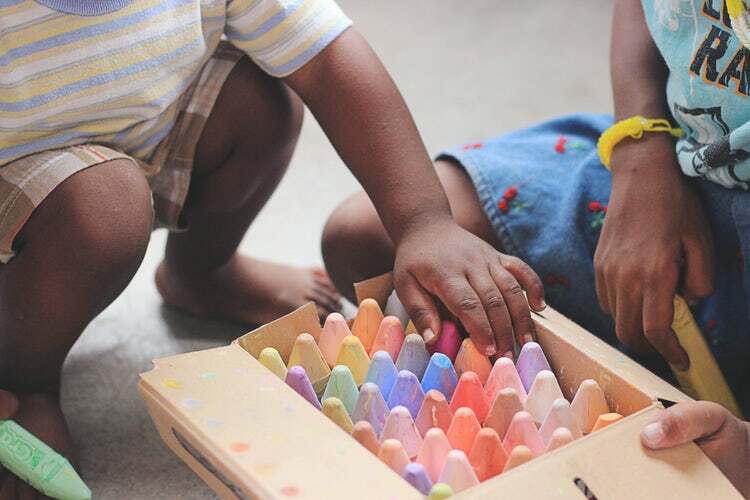 We focus on a wide range of learning outcomes including but not limited to; social thinking, self regulation, play initiation and maintenance, future planning and executive functioning skill development – all while having fun! We enjoy snack time, games and free time to allow the children to make real friendships and demonstrate some of the skills they have developed. Our groups run once per week for an hour and a half. We welcome children aged 7-12 years old, who are able to manage themselves safely within a group and in a ratio of 4 children to 1 facilitator . Due to this ratio, we do require that children be able to toilet themselves independently. Our groups consist of 8-12 children. Please contact Heather Anderson Pickell to determine if this program is a good fit for your child. Salutations, small talk, and conversation, joining in play or conversation with others, asking others to join in. Covers topics such as: identifying personal strengths, feelings in you and others, friendly and unfriendly behaviours, and how to deal with conflict, anger and social stress. Projects, outings and videos are designed to be related to the discussion topics. Each week a different child will be the snack helper. At snack time we’ll encourage and coach kids on how to engage in and respond to casual conversation. Kids will engage in group board games and play activities that help strengthen social skills such as turn taking, sharing, and good sportsmanship. Parents or caregivers of a child can refer. Children need to manage safely in a staff to child ratio of 4:1. Screening is conducted to determine eligibility.